At the age of 24 I was an Olympian and a three time world champion, I was on cloud 9, I was ready to raise the bar and take on the world again. That was until my world quite literally fell apart…. Have you ever woken up when you don’t feel ready to start the day? Have you ever felt that you haven’t had enough sleep? The energy is there but you just don’t feel like activating it? (Monday mornings?) Well, what if it was worse than not feeling like getting up? What if you simply couldn’t? The energy that you needed to roll off the bed, get your feet onto the floor and sit up, simply wasn’t there? Your body is effectively on strike. In April 2003, I was diagnosed with chronic fatigue syndrome. An illness that the medical profession argue about in diagnosis and so you can imagine how difficult it is to treat. However, the effects are palpable, it is a serious illness – not something a couple of days in bed was going to cure. If you break your leg, you’re back training in 6 - 8 weeks. CFS kept me out of my sport for two whole years. I wasn’t bad enough to lie in bed, but equally I didn’t feel well enough to be out and about in normal every day life. It was like being locked in a half way world; not fully in the 'sick' world but not fully in the 'well' world either. Occasionally I was able to energize myself to do things in the outside world, but would feel thoroughly whacked out afterwards. In order to be successful as an athlete you need to be vigilant – to be constantly checking and re-checking that you are doing everything that you can to achieve your goal, making sure that you are moving in the right direction etc. You also tend to be very in tune with your body. And although I thought I was being vigilant and was in tune with my body, I was ignoring some seriously bright flashing lights. There were alarm bells going off all over the place; my body was crying out to me to make some changes in my life, in particular to get a bit of balance in my life. But I didn’t listen and my body’s way of speaking even louder was to give me the symptoms. It wasn’t until I fully embraced reverse therapy that I discovered what my triggers were and my symptoms started to improve. In January 2005 I decided it was time to see if I was ready to start training again. I began with some gentle running (15-20mins) and light paddling. By March I was training for 45-60mins at a time, 5 times a week. Although at this time I still had some symptoms, the difference was like night and day. By May I was back into full training, doing 9-10 sessions a week. I am delighted to say that things have gone from strength to strength since then. I am back to full training (12-15 sessions a week) and I am World and European Champion again. However, it wouldn’t have happened without reverse therapy and the support of my family, friends and sponsors. The symptoms vary from person to person but for me included feeling permanently exhausted. It was an effort to do anything. I felt fatigued after very light exercise. I went from racing two and a half hour marathons in a kayak to not being able to do twenty minutes of light paddling in my kayak – the equivalent of a brisk walk! The muscles in my body ached to the degree where it became painful. In the beginning I slept loads, often for thirteen to fourteen hours a night. During another period I suffered insomnia. And those were just the physical symptoms; the emotional battle was something else. Initially doctors thought that I had just over-trained, which of course was the most obvious assumption – ‘athlete complaining of tiredness and achy muscles’. When you train fourteen to eighteen hours a week this isn’t unusual. But this didn’t feel like normal tiredness from training. This was fatigue and I knew in my heart that it wasn’t over-training; it felt like something more profound than that, but quite what exactly I didn’t know, and neither it turned out, did many professionals in the industry! 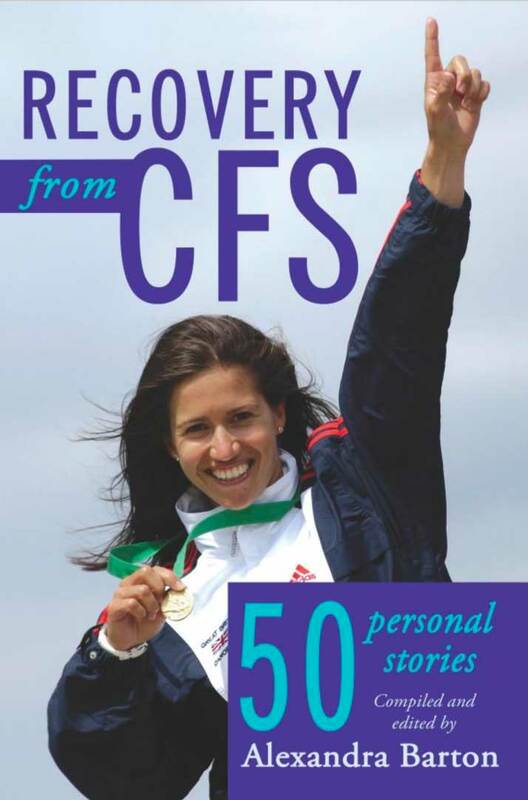 After a number of incorrect diagnoses in September 2003 I was eventually diagnosed with CFS. There is a lot of mystery and mystique regarding what it is and its causes. That in itself was one of the most challenging parts of it. How do you explain such intangible things as pain and fatigue? Because I wasn’t suffering from cancer or a broken arm people couldn’t see or understand it. Sometimes I wished my skin was see-through so that people could see my pain. Because I was burdened with this for so long I was actually scared, really scared that I would be trapped by it forever. And that fear was born predominantly out of the fact that the doctors said there wasn’t a cure for it. The worst thing was that it was all so vague – most doctors just said that there was nothing I could do about it except rest. I asked how long I needed to rest for, how long it would go on for. They didn’t know – I was just to rest until it got better! I refused to accept that and it wasn’t in my nature to sit back and just wait – I had to be proactive, I needed to do something about it; partly for my own piece of mind, to know that I was doing everything that I could to find out a way of this miserable condition. And I believed that there had to be a way out. Finally in September 2004 through one of my sponsor’s employees, I discovered Reverse Therapy, a proven medical principal and a relatively new way of addressing the condition. In a nut shell, it was discovered that suffers of CFS, M.E and Fibromyalgia are known to have hypathalamitus. There is a gland in the brain called the hypothalamus, it controls all of the bodily functions and there are a variety of triggers that can cause it to overact. When it is overactive it creates these symptoms that lead to this miserable condition. It happens frequently to high achievers but can happen to anyone and there are a variety of stressors that can cause it. Reverse therapy seeks to stop the hypothalamus from overacting by finding out what the triggers have been – the triggers are different for everyone. For more information on reverse therapy go to the reverse therapy website. I can also highly recommend the book ‘M.E, Chronic Fatigue Syndrome, Fibromyalgia – The Reverse Therapy Approach. By John Eaton.